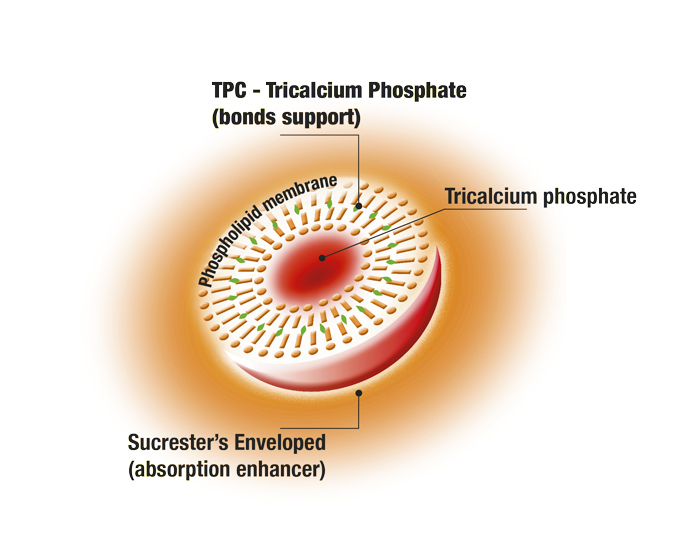 UltraCal is a complex of sucrosomes that encloses and trasports Tricalcium Phosphate to ensure the maximum absorption and bioavailability for a proper intake. UltraCal is incorporated in a sucrosomial membrane, allowing it to pass undamaged the gastric acid environment. UltraCal never reacts with mucouse membrane and it is absorbed directly into bloddstream through intestine. For this reason, UltraCal can be taken anytime of the day without side effects.